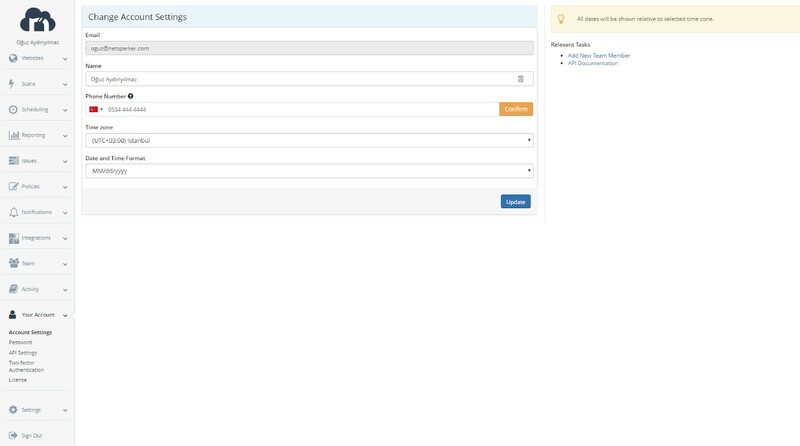 The email address is mandatory for every Netsparker Enterprise user, therefore by default Netsparker Enterprise has the email address of every user. Though the phone number needs to be added manually and once added it will be used by the system to send the SMS notifications. Only users with Administrator permission have access to this window. From the Your Account menu, click Account Settings. The Change Account Settings window is displayed. In the Phone Number field, enter the phone number. Click Confirm. The Phone Number Confirmation panel is displayed. Check that the phone number displayed is correct. Click Send Confirmation Code. 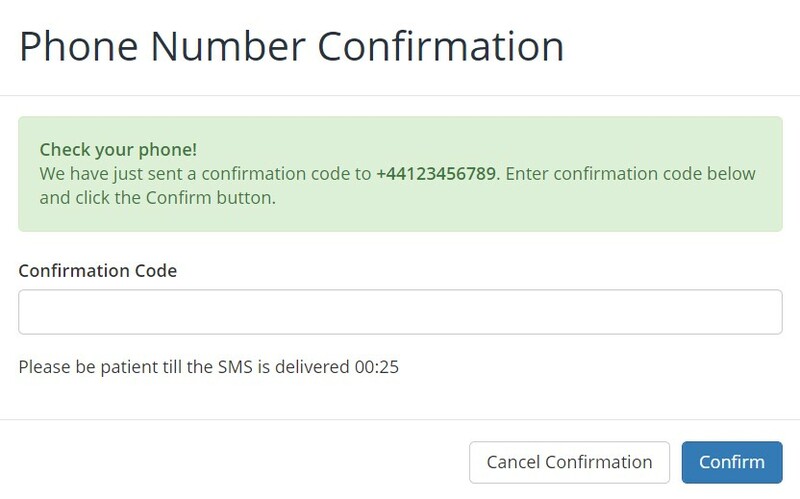 A six-digit confirmation code is sent to your phone, and the Phone Number Confirmation dialog is displayed. Retrieve the code from your phone, enter it into the Confirmation Code field and click Confirm. From the Settings menu, click General. The General Settings window is displayed. Check the Disable issue notifications that are sent by the system option.